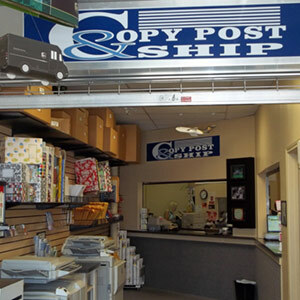 For affordable and convenient shipping solutions, there is no better choice than Copy Post & Ship. For nearly 30 years, we have offered the very best in shipping, mailing and other postal services. Whether you need a fragile item shipped or you would like to rent a mailbox for mail-forwarding purposes, we can help. When you are looking for a comprehensive postal service in Humble, TX, look to Copy Post & Ship. Since 1987, we have provided customers with quality and convenient solutions to all of their mailing, shipping, sending and receiving needs. While other companies offer a few mailing services, we are the only ones that integrate every shipping and mailing need you might have in one great place. Our aim is to be your one-stop-shop for all of your postal services in Humble, TX. From mailing packages to receiving forwarded mail to notarizing documents, our service provides everything you might need in a mailing center. We offer an assortment of shipping and mailing solutions. We rent mailboxes and provide mail-forwarding services. We sell an extensive selection of packing and mailing supplies. Postal Service, Postal Services, Mailing Services, Mailing Center, Shipping, Shipping Company, Notary Public, Notary, Shipping Store, Shipping Services and much more. "Love this place! My family has been coming here for over 20 years and they never disappoint. Although they have a postal surcharge, their se..."
"My mom was giving my dad's car to my brother and we needed to have an affidavit of heirship notarized. I searched on Google while driving ho..."
"They are always helpful, friendly, and knowledgeable. I will go out of my way to use their services even though I don't live very close anym..."